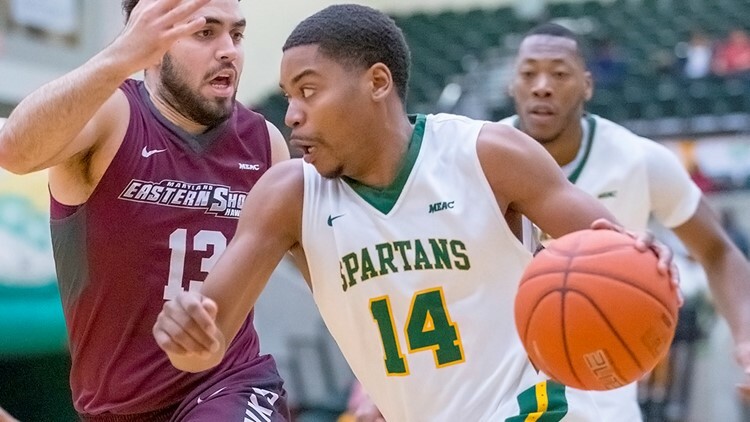 After their first conference loss of the season, the Spartans went to Tallahassee and knocked off the Rattlers 66-54. Nic Thomas had a career high 26. TALLAHASSEE, Fla. — - Nic Thomas tied a career-high with 26 points on four 3-pointers and made all 10 of his foul shots and Norfolk State beat Florida A&M 66-54 on Monday night. The Spartans (14-11, 9-1 Mid-Eastern Athletic Conference) - winners of nine of their last 10 - raced to a 12-0 lead and never trailed. The Rattlers rallied with a 13-3 run and trailed by two when Kamron Reaves buried a 3 with 11:38 before halftime. Mastadi Pitt's layup with five seconds left before the break made it 33-26. The Spartans went on a 14-5 run, Thomas' foul shots made it 47-31 with 13:26 left and Norfolk State led by double digits the rest of the way. Jordan Butler added 10 points for the Spartans.